OPENED in 2003, Peregian Springs Golf Club on Queensland’s beautiful Sunshine Coast is building a reputation as a must-play golf course and must-visit golfing destination in the region. The club’s chief executive officer Declan McCollam said Peregian Springs started life as a private members club, but now welcomed green fee players seven days per week. The club is thriving and is fast becoming one of the most sought-after and popular golfing destinations for club golfers and social players on the coast. In the past 12 months, more than 28,000 rounds have been played on the Phil Scott-designed golf course, which is located at Peregian Beach 15 minutes from Noosa’s famous Hastings Street and the Sunshine Coast Airport. “Since opening to the general public two years ago, we have seen a dramatic interest from the public to play the course,” McCollam said. “That’s because Troon Golf, who manage the agronomy, have improved the condition of the golf course dramatically. 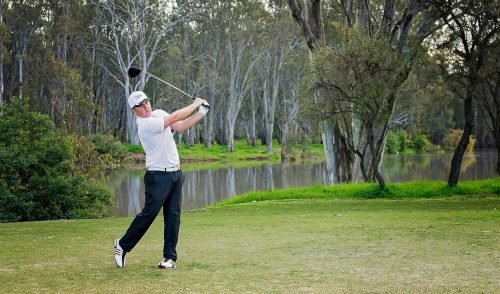 McCollam says Peregian Springs has managed to combine the attraction of a resort-style golf destination with the charm and atmosphere of a local golf club. And with the recent acquisition of brand-new fleet of Club Car golf carts equipped with the latest Visage GPS, there is even more reason to play there. McCollam said Peregian Springs was the only golf club on the Sunshine Coast that had GPS in its golf carts and that the Visage system was something very special, not just another GPS system. 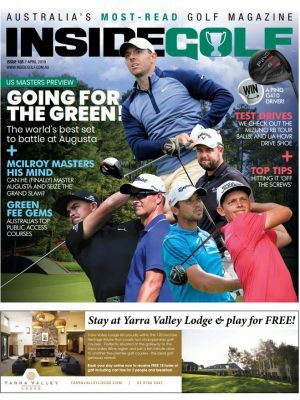 And when it comes to accommodation, interstate and overseas golfers have the option of first-class facilities at the Outrigger Resort and Spa in Noosa – the club’s play-and-stay package partner. “We also partner up with Noosa Springs, Twin Waters and Pelican Waters golf clubs to offer a four-course package,” McCollam stated. Some of the recent improvements at Peregian Springs have been the redesign of a couple of holes and upgrades to the bunker drainage. Peregian Springs Golf Club and Troon Golf have a course development plan to further improve the conditioning of the parkland-style golf course although they won’t go overboard as it’s already a great and fair test of golf. An easy-walking golf course with enough challenges for players of all levels, there are five tee positions that allows players of differing skill levels to choose their own level of difficulty. “Peregian Springs is a friendly golf course for the average golfer because there are generous landing zones on the fairways and greens,” McCollam said. “But off the back (black) tees it’s a totally different golf course. For women, the golf course stretches to a comfortable, yet testing, 5135 metres. Both nines are similar in style with tree-lined fairways and water coming into play on the third, fourth, 11th, 12th and 13th holes. The front nine has its challenges, especially holes five through eight. “The signature holes are the 12th and 13th with one playing over water and the other alongside a large lake with the lake coming into play on both the first and second shots,” McCollam said. The 312m par-4 fifth hole is perhaps the best chance at a birdie. Your tee shot needs to be centre right to prevent landing in the fairway bunkers and try to finish under the hole as the green has a ridge running through it. Any ball coming to rest above the hole will be faced with a speedy downhill putt. Long hitters can be aggressive off the tee although a fairway bunker just short of the green and bush either side of the fairway awaits an errant ball. The courses ends with three more absorbing holes of great variety. They begin with the 401m par-4 16th where a long green is shaped diagonally away from you left to right. The best approach is from the right although most players can’t reach it in two. 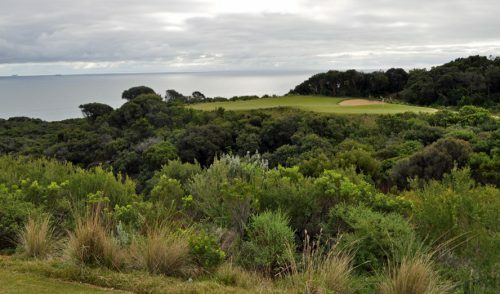 The 358m (white tees 332m) par-4 17th has water 270m off the tee and 30m short of the green. This will influence club selection from the tee for the longer hitter and the second shot in the case of the shorter hitter. The final hole is top-notch and doglegs left with bunkers in play from the tee through to the long, narrow green. The ever-present breeze has a different effect on almost every shot. “The great thing about this golf course is it doesn’t beat you up if your game is a little off like some other courses do,” McCollam said. 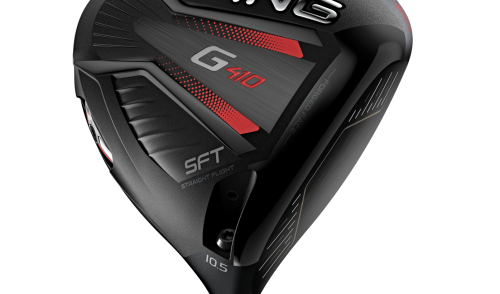 A round, including golf cart and range balls, costs $89. 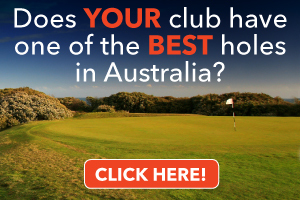 For those people considering joining, Peregian Springs Golf Club they have introduced a number of new membership categories including a five-day, a seven-day, a weekend and a three-month trial membership. Plus they have a Sunday Club that costs $365 per annum with an event held every alternate Sunday and costs just $15pp for Sunday Club players. The clubhouse is a wonderful surprise – a modern single-storey building that isn’t pretentious. It’s pleasantly spacious inside, the focus is on comfort with two bars, a restaurant area, locker rooms and showers open to visitors. The restaurant is open Wednesday to Sunday, but the bars are open every day. Snacks are available on Mondays and Tuesdays. “The practice facilities are first-class with a full-length driving range that has grass area and 12 mat tees,” McCollam said. “There is a putting and chipping green and we also have a fully-equipped gymnasium and a steam room. 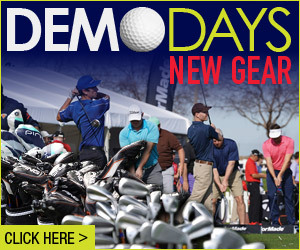 “The pro shop is the hub of our golf operations and is open 6am to 6pm seven days a week. One of the nice things about Peregian Springs Golf Club is it’s junior friendly and boasts a successful junior program with head professional Kai McKay. “On any given Wednesday, you will find 40-50 juniors taking part in our clinics,” McCollam said. “We have two very successful juniors in Christian Butterworth, who is just back from playing the Futures Champions Tour in the US. The club totally funded his trip to the US. Peregian Springs Golf Club also specialises in corporate golf days, weddings or functions. Whether it’s for a social group booking for 16 players or a corporate golf day for over 50 players, Peregian Springs will take care of all your and your clients’ needs. The club, too, offers the most intimate gatherings to the grandest of weddings. There is a choice of a number of fabulous rooms and stunning outdoor locations.